Shirley Hazel Harvell passed peacefully on June 20, 2018 at her home in Goldsby Oklahoma at the age of 89 years 29 days. Private family gravesite services were held Thursday, June 21, 2018 at the Washington Cemetery, entrusted to the care of Wadley's Funeral Service. Shirley was born May 27, 1929 in Torrance, California to John and Hazel (Bayes) Schaller. She was raised in Mineral, Washington with her younger sister, Carol June and her older brother, Bud. Shirley graduated from Morton High School with honors in 1948, and went to work as a telephone operator in Tacoma, Washington. This is where she met her husband, Harold Harvell of Oklahoma, who was stationed at McChord Air Force Base. They were united in marriage on September 7, 1951 at the Air Force Chapel. 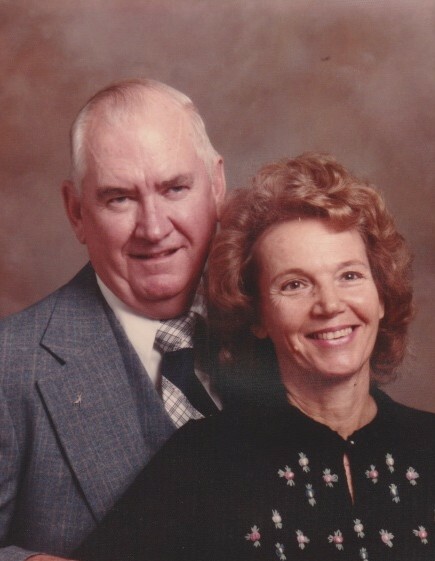 Shortly after the wedding, the couple relocated to Oklahoma City, where Shirley was a homemaker and assisted Harold in his educational pursuits. She raised three children, Carol, Richard and Susan, while staying active in the Yukon community. Shirley joined the Eastern Star, and was a member for over fifty years. During that time she earned her Oklahoma Real Estate Commission Broker’s License. She will be missed by her family and her friends all across the country. Shirley is preceded in death by her parents, John and Hazel Schaller; and her brother, Bud Schaller. Survivors include her husband Harold Harvell; daughter, Carol Ann Lee and husband, Robert; son, Richard Harvell; daughter, Susan Beal and husband, John; grandchildren, Dustin Lee, Jocelin Kane and husband, Jason, Kylie Beal; great grandchildren, Jaden Kane, Casey Kane and many other relatives and friends.